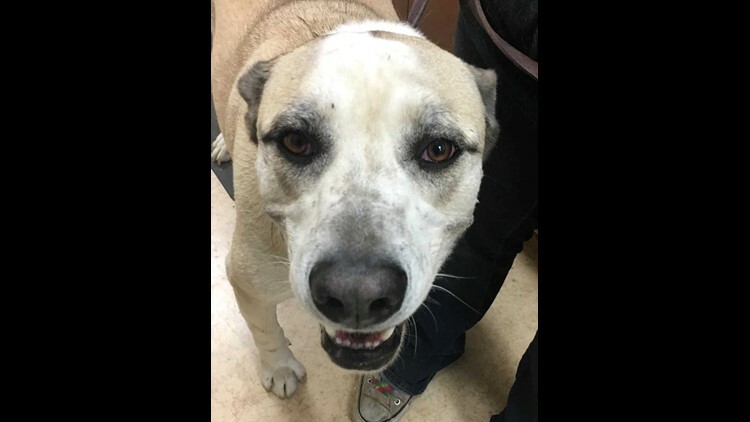 Joe is a friendly 4-year-old Anatolian Shepherd Mix looking for a new forever family. He was surrendered to San Diego Humane due to a change in his living situation because of a recent divorce. Joe is a goofy and energetic dog who enjoys receiving attention from just about anyone. This social guy lives for walks and playtime! Joe has lived with children in the past and has done very well with them, but he should meet all family members and resident dogs before going home. If you are looking for a family-friendly and energetic companion, Joe is waiting for you! Joe’s adoption fee includes neuter, permanent microchip identification, current vaccinations, 30 days of worry free insurance from Trupanion Insurance and a certificate for a free veterinary exam! Joe is available for adoption at San Diego Humane Society’s San Diego Campus at 5500 Gaines Street. To learn more about making him part of your family, please call (619) 299-7012.